I've been hearing a lot about this book but wasn't exactly sure what it was about, thanks for the description. I'm not 100% sure I want to read this, it might go a little too far into fantasy for me, but maybe I'll download a sample chapter onto my Nook and give it a try. First review I've seen of this one. 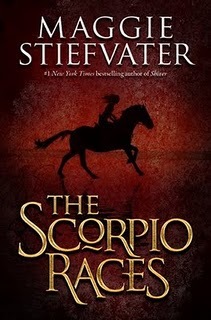 I'm excited to read it...love Stiefvater's writing style, and I like that this one has more action. Glad to see you liked it!